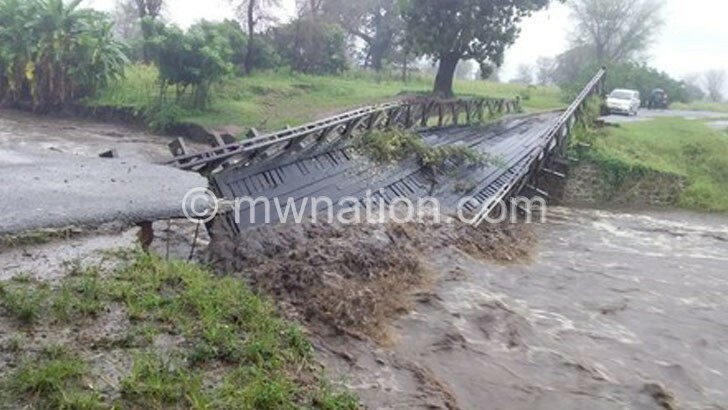 Malawi is among three countries to benefit from $100 million (about K74 billion) from the African Development Bank (AfDB) to support rebuilding efforts caused by cyclone Idai. The others are Mozambique and Zimbabwe. In a statement, the pan-African bank said: “The bank will be providing emergency assistance to the affected countries and a medium-term plan to meet the reconstruction needs of the affected areas, including a climate risk insurance plan. “In the second phase, the bank will set up a response and reconstruction programme, committing up to $100 million for Mozambique, Malawi and Zimbabwe to kick-start economic recovery and rehabilitation”. The statement said the AfDB team is already working to support the three governments using the bank’s convening power to assess needs, identify key reconstruction activities and mobilise resources from the international community, global philanthropic organisations and the general public. The announcement followed last week’s high-level bank’s delegation visit to Mozambique headed by its vice-president for corporate services and human resources Mateus Magala to sympathise with the people of that country as cyclone idai’s impact was huge. The statement said the bank is also working to put together a long-term solution to climate risk in southern Africa, a region subjected to a continuous cycle of floods, droughts and cyclones. Department of Disaster Management Affairs (Dodma) commissioner Wilson Moleni asked for more time before commenting on the issue. Tropical cyclone Idai was one of the worst storms to affect Africa and the southern hemisphere. The long-lived storm caused catastrophic damage in Mozambique, Zimbabwe, and Malawi, leaving more than 1 000 people dead and thousands more missing. The AfDB commitment also comes a few days after the African Union (AU) provided $100 000 (about K73 million) to the Government of Malawi for disaster recovery response.